The room was great and beds very comfortable. The breakfast variety was impressive - my boys loved the waffles with sprinkles! We enjoyed the pool very much and the staff were all very helpful and friendly. Absolutely stunning view! It worth coming here again and again. Lovely service and location. Pretty clean room without any unpleasant smell. New Year’s Eve gala dinner was very disappointing. Very poor value for money. Great location. Amazing views. Mostly friendly and helpful staff. Breakfast buffet catered for pretty much anyone although the bacon was awful. Amazing location. Beautiful views across the bay. Great Breakfsat and great price. The walk from the hotel along the bay with the fishing boats, bars and restaurants is amazing. Big room and cool views. Stayed in 5 star hotel for last 2 nights (Cavalieri was booked out) and at 2.5 times the price and it was not worth the extra money at all compaired to the Cavalieri offered. Wonderful breakfast!!! Wonderful hotel in general, except for the location for people who love to travel a lot. Great view over the bay and the sea. Good size balcony. Polite and helpful personnel. Nice reception with art work. There was a Japanese exposition and we had a chance to meet the artists. 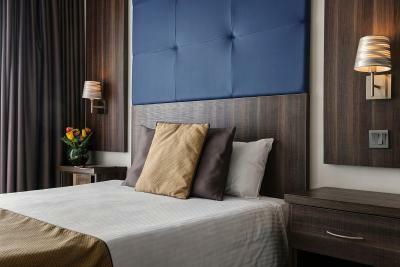 Cavalieri Art Hotel This rating is a reflection of how the property compares to the industry standard when it comes to price, facilities and services available. It's based on a self-evaluation by the property. Use this rating to help choose your stay! The Cavalieri Art Hotel is set on the beach in St Julian’s, and has a seafront terrace and pool. 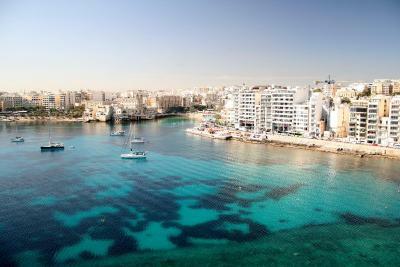 All rooms are air-conditioned and come with free WiFi at this hotel with a great location along Spinola Bay. The hotel's sun deck features parasols, sun loungers, changing rooms and showers. You can use the indoor pool, which is heated between April and November. The Cavalieri serves a buffet breakfast, and Mediterranean and local cuisine for lunch and dinner. The main dining hall overlooks St Julian's Bay. During summer you can dine outdoors, and barbecues are often served on the sun deck. 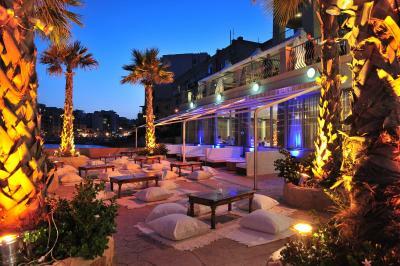 The hotel is 1,000 feet from the bars and restaurants of lively Paceville. 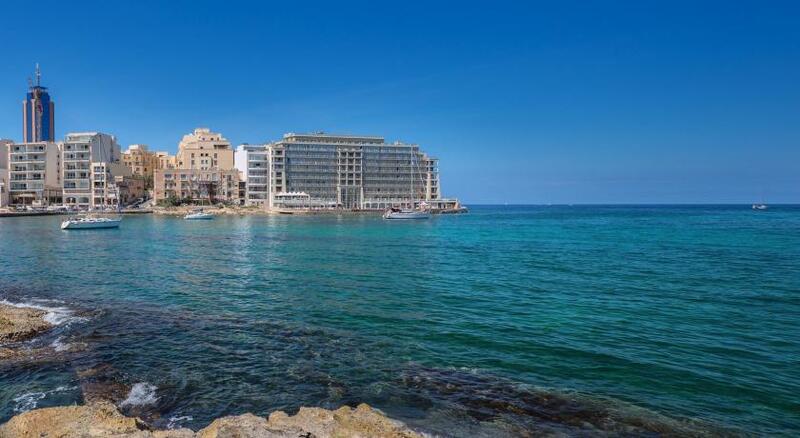 The main bus routes to Valletta and Sliema, and to the Gozo Ferry Terminal, stop nearby. Parking is free subject to availability. When would you like to stay at Cavalieri Art Hotel? This room has a balcony and is on the North side of the hotel. It features a TV with satellite channels, a mini-bar, tea/coffee making facilities, and air conditioning. The bathroom has free toiletries. Overlooking St. Julian's Bay, this room has a balcony and is on the sunny South side of the hotel. It features a TV with satellite channels, a mini-bar, tea/coffee making facilities, and air conditioning. The bathroom has free toiletries. No balcony and no sea views. It features a TV with satellite channels, a mini-bar, and air conditioning. The bathroom has free toiletries. Cannot fit any extra bed. With a balcony overlooking St Julian's Bay, this family room features free WiFi. It has an private bathroom with free toiletries, mini-bar, tea/coffee making facilities, and a flat-screen TV with satellite channels. House Rules Cavalieri Art Hotel takes special requests – add in the next step! Cavalieri Art Hotel accepts these cards and reserves the right to temporarily hold an amount prior to arrival. The hotel is in desperate need of an update. The bathrooms had no ventilation and thus stank. The tv provided did not work and after complaining to the hotel, it was replaced with another nonfunctional tv. The problem was with the subscription service not the appliance. The rooms were not cleaned adequately during our 5 day stay. There were food remnants and rubbish from previous guests that were not cleaned for the entirety of our stay. Some of the "clean" towels provided were filthy. Staff were overall pleasant but on one occasion one of the hotel restaurants was closed and a staff member explicitly stated we were not allowed to eat in the remaining open restaurant despite it having other guests eating in the restaurant. 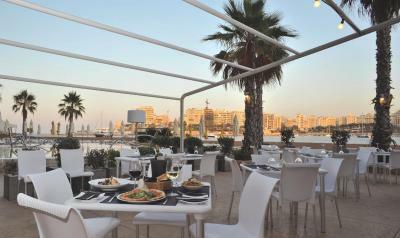 The location of the hotel was very good and close to transport links and numerous restaurants. The breakfast is horrible...the staff in the breakfast room unfriendly and incompetent...overwhelmed by the number of guests, yoghurt had gone bad, french toast tasted old. Noise: I paid extra for a room with a view, but the view meant noise from the streets and from rhe constant day and night constructions... I had some flowers and asked for a vase twice... I eas promised to get it, but it never happened. The breakfast is very crowded! It has a convenient location. One of the bathrooms had a strange smell at times. Great customer service from Monika and Theresa at the front desk- made us feel welcome and at ease. They gave useful advise in places to go with the family and halal places to eat within walking distance of the hotel. Its actually a two star hotel and by no means four! Old hotel that needs a lot of maintenance, could not turn the AC on, called the reception and they said cannot be turn on due to the full hotel do not have it on which is a minus, never heard of that before in any of the hotels i have been on. Views is the only plus. I would definitely improve the bedding, horribly synthetic blanket, non-existent or stinking cushions, old and dirty footrests! Beautiful sea location, large rooms and bathroom with bath much appreciated. Plans-Staff very kind! Some of the staff at the kitchen could be more respectful to the female customers. Every other staff, well qualified and helpful. We had to ask twice for a cot and extra pillows never came. Facilities are ok but hotel needs maintenance all over. Buffet dinner was limited and substandard. Indoor pool was heated in April, good for kids. Nice to see art in the hotel. Overall good value for money. Beautiful view from our balcony. Room was big and spatious. Wide variety of breakfast. Very friendly staff.